In the Finer Things Club, we meet once a month to discuss books and art and celebrate culture in a very civilized way. The debate can sometimes be heated but is always respectful. No plastic, no paper, and no work talk is allowed. 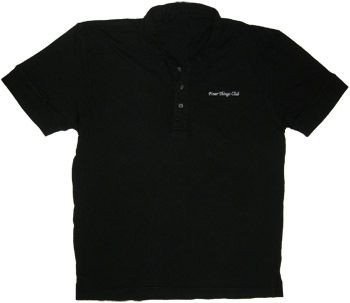 "Finer Things Club" is embroidered in white thread on a black 100% cotton polo.